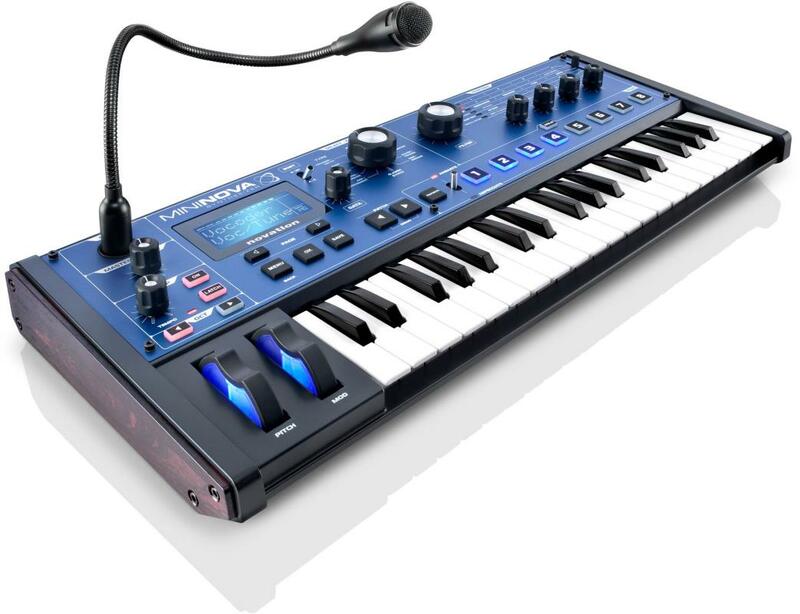 The Novation MiniNova is a powerful mini-keys synth with incredible hands-on performance controls, VocalTune and vocoder effects. 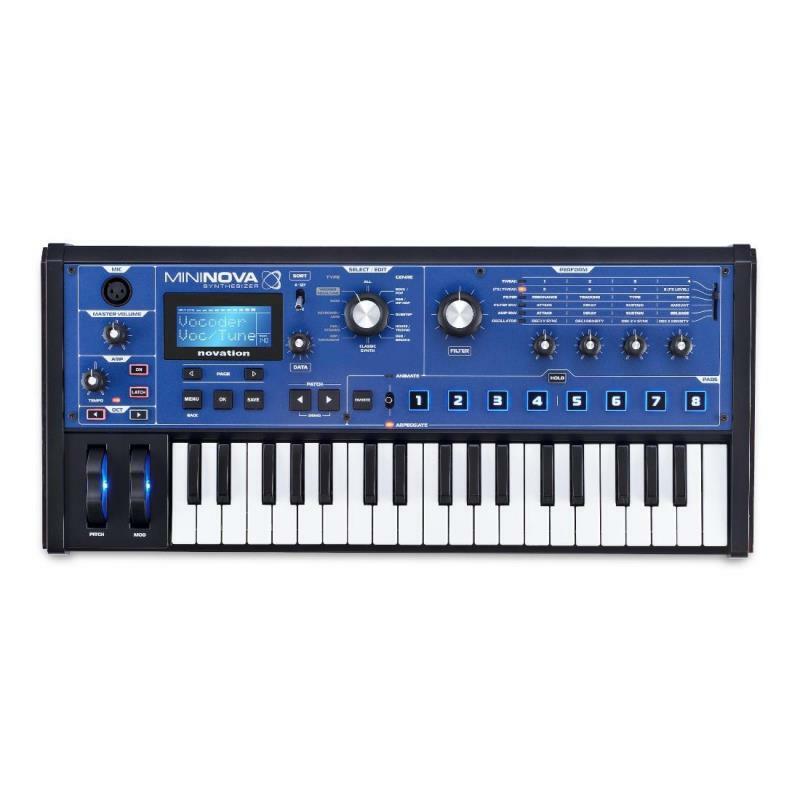 The MiniNova uses the same sound engine as the Novation UltraNova, so even though this is a much more compact unit it can still pack a punch. 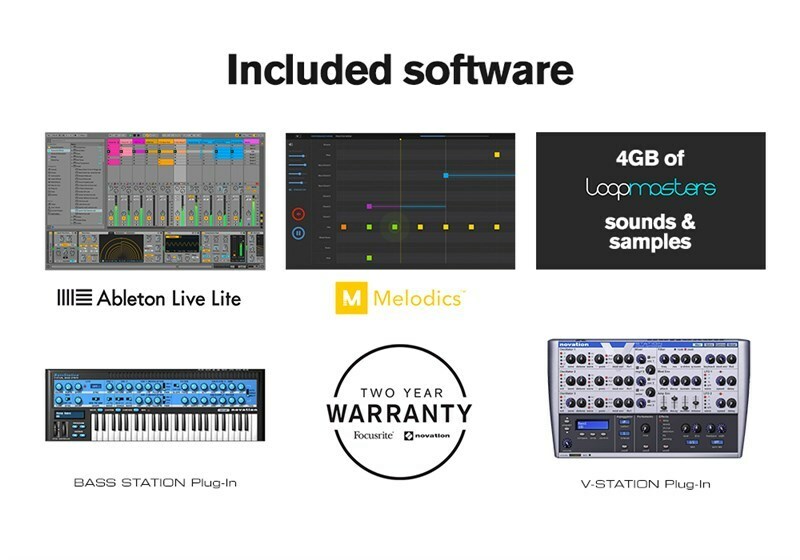 The Novation MiniNova features brand new VocalTune and classic vocoder effects, 256 professional onboard sounds, and even comes with audio editing software. ***News just in, did you miss the Morodernova? Have no fear! Anyone who registers a Mininova - old or new - will now find 30 of the Moroder's 50 MoroderNova patches on their account page when they log-in. News just in, did you miss the Morodernova? Have no fear! Anyone who registers a Mininova - old or new - will now find 30 of the Moroder's 50 MoroderNova patches on their account page when they log-in. MiniNova is a compact, super-cool performance synth with the same sound engine as its big brother: the UltraNova. 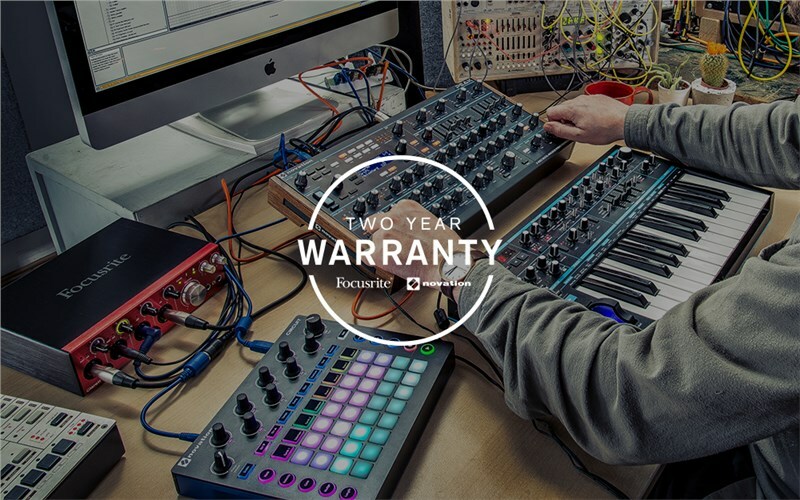 It comes with 256 incredible onboard sounds which you can tweak with 5 knobs, or totally warp with 8 'animate' buttons. MiniNova also has an onboard VocalTune effect as well as a classic vocoder so you can recreate iconic vocal sounds from Hip Hop, Urban and electronic music. MiniNova is a powerful mini-keys synth with incredible performance controls which enable you to tweak and warp the onboard sounds, and your own voice. It has the same synth-engine as its big brother - the UltraNova - and comes with 256 awesome sounds so you can get started straight away. If you want to dig deeper, it's got a fully editable Nova-class synth engine (derived from the legendary Supernova series in the 1990s).